Aprilia engineers and suppliers have been working flat out to finish the new gearboxes and spares for factory riders Alvaro Bautista and Marco Melandri. An upgraded engine spec for more top end power and revised, more compact, bodywork and seat units will be also part of the package. The seamless gearbox was evaluated at the Jerez test in early May by Bautista who was impressed by the unit given that he has experience of Honda’s benchmark seamless shifter. “The upshift is very similar to the Honda seamless although still have to improve the downshift which helps stop the bike,” Bautista said. 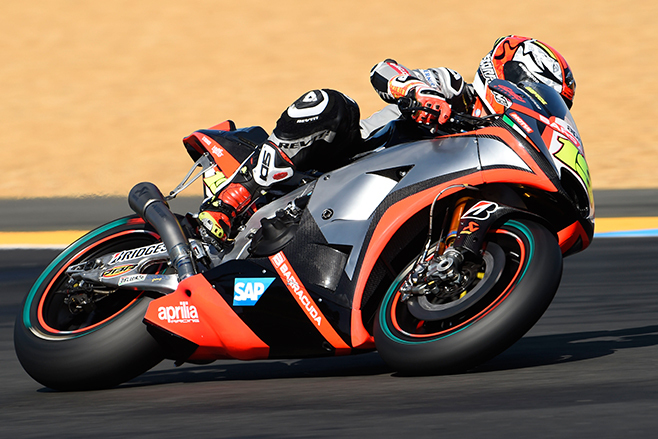 Aprilia has bravely returned to MotoGP this year in what is a test and development season being conducted in public in advance of the new regulations for 2016. The Mugello upgrades should allow Bautista to be a more consistent challenge for points with the target of top ten finishes in the second half of the season. The new bodywork is slimmer and designed to give a more comfortable riding position and move weight forward to put more load on the front. “The bike needs to turn better, more precisely,” Bautista noted. 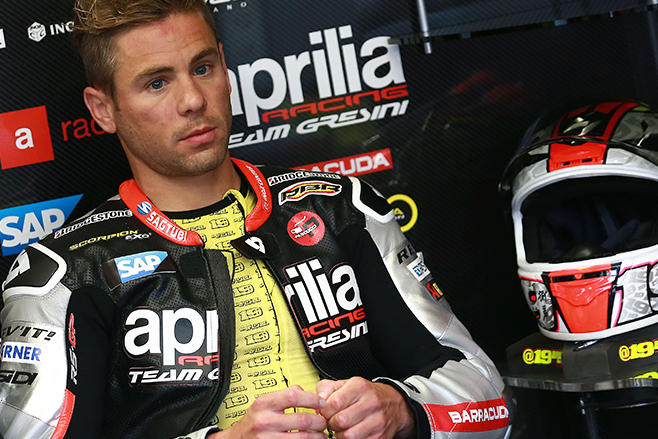 Improved rear drive and acceleration, a common call from riders, is also on the Aprilia agenda. “Just when you think you have enough horsepower you need more,” said Aprilia race boss Romano Albesiano. Only unscheduled production delays from outside suppliers will risk the seamless ‘box being ready to race at Mugello. Round 6 MotoGP continues on 31 May in Mugello.